Pixar’s Finding Nemo had a pretty simple message: leave the pretty fish in the ocean, where they’ll be safe to live with their families in peace (at least until Mom gets Disney-cursed to death by a barracuda, anyway). Despite laying its ocean-not-tanks stance out pretty bluntly, though, the movie still had a massively detrimental effect on several populations of clownfish, as kids around the world clamored for their own personal Nemos to briefly keep alive. Now, Disney and wildlife groups are worried that the Dorys of the world might be in trouble, too. Pixar recently released its Finding Nemo follow-up, Finding Dory, to strong reviews and stronger box office performance. The film centers on Ellen DeGeneres’ titular regal blue tang, who braves the ocean and Albert Brooks’ occasional apoplexy to reunite with her family. But conservation groups—including the Human Society and For The Fishes—are concerned that the movie’s popularity will put real-world regal blue tangs at risk. According to the director of For The Fishes, the world’s blue tang population can’t support the kind of prolonged interest that the quick-breeding clownfish has had to face. “This species cannot endure increased demand,” she said. “It’s already in decline in the wild.” Blue tangs grow up to a foot long and eat a specialized diet, making them a tricky prospect for most home aquariums. They also don’t breed in captivity, meaning they have to be captured live, often via techniques that damage their local ecology. 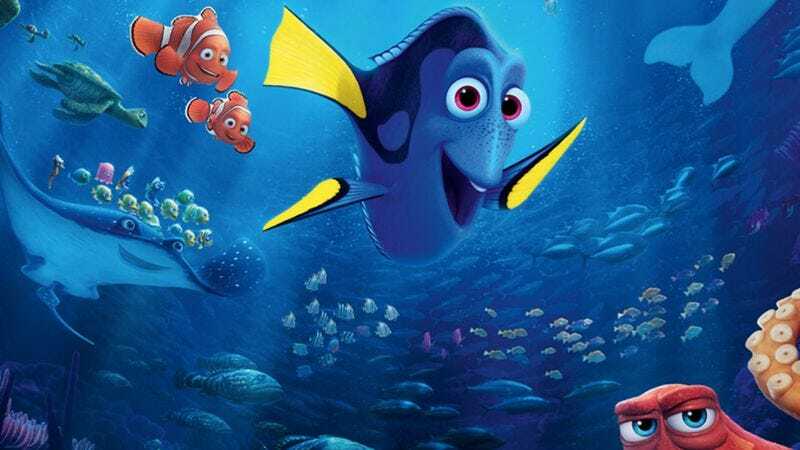 For its own part, Disney is also trying to stop its silly, conservation-themed fish comedy from accidentally flushing a whole species of wildlife down the toilet. The company has issued pamphlets and PSAs to help people select pet fish from less vulnerable populations, and is working with major pet retailers to educate consumers on not missing the point of its movie quite so disastrously hard.